Delicious soup... Perfect for winter.. Healthy and delicious soup.. Yummy !! wat a super comforting nutritious soup.. The soup has got such a lovely color. perfect for winter. 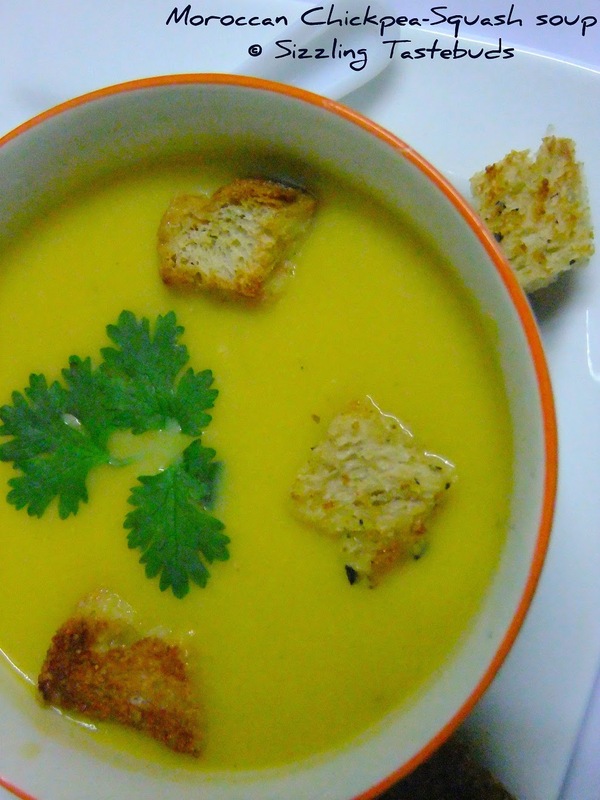 Winters are great to enjoy the soups and this is a keeper recipe..lovely combination of chickpeas with squash..bookmarked! Rich n Creamy Soup!!! Apt for the weather!!!! 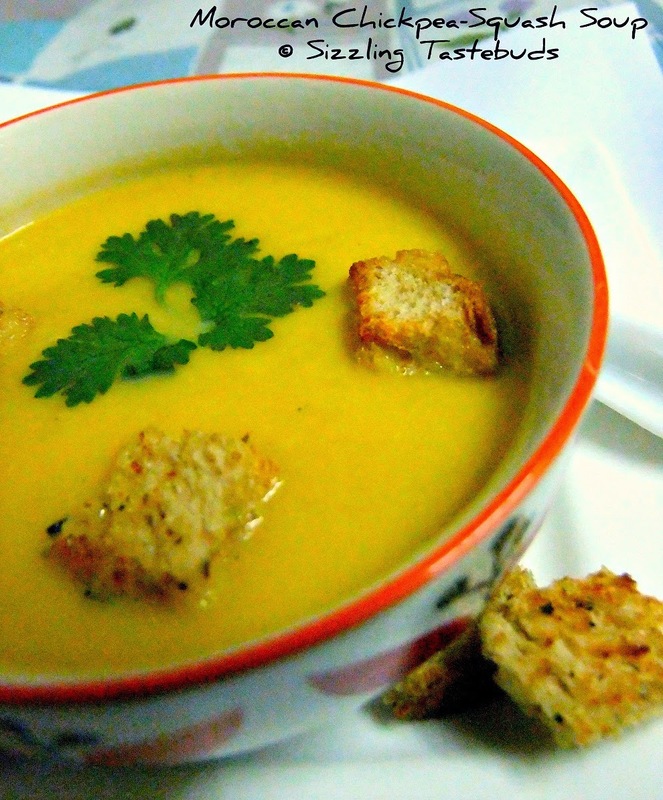 yummy and looks delicious!...perfect for a chilly evening!...healthy too! looks delicious...are you using fresh apricots or dried apricots? Yummy soup Kalyani. Happy New Year. Soup sounds and looks so very yum. Soup looks awesome! Perfect for cold weather blues. Such a healthy & delicious soup. Love the addition of chickpeas & almonds. Have to try this soon. Yummy. Just what I need today.